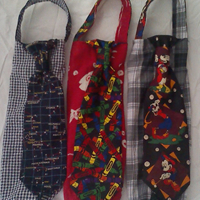 The Shirt Off My Back Company is a small cottage industry (as in, one woman, one machine) located in Indianapolis, Indiana, that uses only recycled textiles to create one of a kind bags.Tote bags, winebags (Tie One On Winebags©), growler bags, diaper bags, messenger bags.......are some of the bags created. 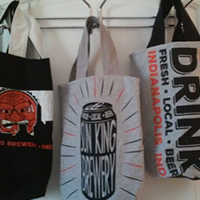 Bags can be found the Broad Ripple area of Indy at Hayes and Taylor (The Shop), Neat-O, and Cork and Cracker. 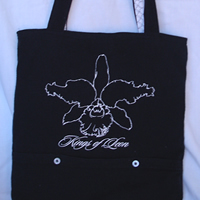 The bags at The Shop are made only from their custom designed t-shirts. 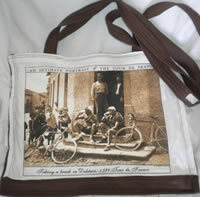 Bags can also be custom made from garments that mean something to you--whether it is a cherished t-shirt, a favorite shirt, a worn but loved pair of jeans--you name it, clothes evoke rememberances of times past. 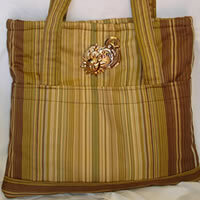 You provide the garment; I create the bag. 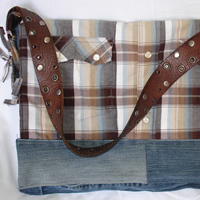 Handbags can be either completely handstitched or machine stitched--whichever you prefer. 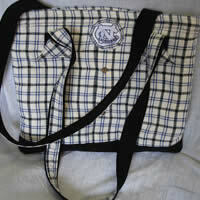 In addition, bags can be quilted to provide greater durability.